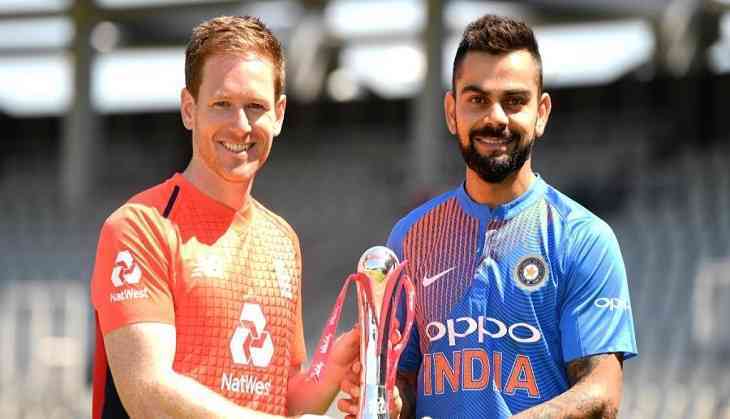 Indian cricket team has reached England for the summer’s main blistering event which will be comprised of three T20s, three ODIs, and the most awaited five Test games. The wrist spin duo of Yuzvendra Chahal and Kuldeep Yadav will also play a key role in India's bid against England. The Indian middle order MS Dhoni at no five also seems quite doubtful. India has three options in Suresh Raina, Manish Pandey, and Dinesh Karthik for two spots at no 4 and at no six or no seven with Hardik Pandya also being a definite starter as one of the finishers. As far as scoring patterns are concerned the average first innings score is concerned it is 139 and the second innings is at 100. England has made highest score against New Zealand. English men posted 191 runs with 7 wickets down at Old Trafford. Injury has ruled Tom Curran out of the limited-overs leg of India's tour. The pitch at Old Trafford usually offers more pace and extra bounce than other English pitches, though not a lot of seam movement. The duo of Indian leg spinner's Kuldeep Yadav (11.2) and Yuzvendra Chahal (13.0) have the best strike rates among all spinners who have bowled in ten or more T20I innings. England has a 6-5 win-loss ratio against India in T20Is. Both the teams have faced each other 11 times. India never a registered a win in England. Indian veteran pacer Umesh Yadav missed 65 matches between his two appearances is itself an Indian record.